Jackie M. M. Gonzales is an environmental historian. Her policy research is informed by several years working at non-profit environmental policy organizations in Albany, New York. Gonzales has also worked as an interpreter for the National Park Service at Cape Cod National Seashore, Chickamauaga and Chattanooga National Military Park, and Manzanar National Historic Site. Her dissertation project, Coastal Parks for a Metropolitan Nation, examined the postwar federal initiative to buy America’s beaches, with a focus on how communities across the country reacted to a federal plan to make their backyards public space. Gonzales currently works as a research historian with Historical Research Associates, Inc. in Seattle. LLO: Your dissertation, Coastal Parks for a Metropolitan Nation: How Postwar Politics and Urban Growth Shaped America’s Shores, examines the rapid growth of national park units (like Cape Cod and Point Reyes) in coastal locations after World War II. What big ideas or arguments do you tackle in your work? Gonzales: Communities reacted differently to plans for a park in their backyard—some welcomed it, some fought it, and all worried about their private property rights—and those reactions shaped each park into distinctive management units. Because of this pull between local and federal policy, my argument is two-pronged: that the National Park Service (NPS) coastal conservation strategy ushered in a new era of cooperative park planning for the NPS, and that this new approach occurred because coastal community involvement and coalition-building shaped those plans in ways unprecedented in NPS history. This was one of the first examples of the NPS incorporating a myriad of local concerns into the park establishment process, and it only happened because those who owned summer homes at the seashore were often wealthy and politically connected (for example, Arthur Schlesinger owned a summer home on Cape Cod). I also look at how the coalitions that formed out of movements to preserve coastal lands laid groundwork for the environmental movement. While that was just one of many conservation initiatives in the 1960s, it is one that was very much in the public eye, but that has been overlooked by historians. Including this coastal conservation initiative in the narrative of the early environmental movement strengthens the argument that environmental awareness arose in the urban outskirts in the postwar period (see Chris Sellers’s Crabgrass Crucible, in which he argues that the suburbs facilitated the growth of the environmental movement). LLO: How did you become interested in the topic of coastal parks? What drew you to this aspect of environmental and U.S. history? Gonzales: The Indiana Dunes National Lakeshore drew me into this topic. I worked and lived in the Dunes one summer as an undergraduate, working on an energy efficiency grant. What struck me—what strikes most people about the Dunes, really—is that this beautiful and unique dunal ecosystem is surrounded by steel mills, coal-fired power plants, and other factories. I couldn’t square away why anyone would decide to create a park in a place so littered with heavy industry. When I found out that the mills were actually built at the same time as the park’s establishment, I was hooked on the story. Who, in the 1960s, in an era when conservation leaders waxed poetically about untouched wilderness, had the foresight to realize that industry and conservation often walked hand-in-hand, that one could not always exist without the other? After the Indiana Dunes drew me in, I realized this was part of a much larger federal initiative to preserve coastal lands. In each case I checked, there were citizen organizations fighting for or against the park, shaping uniform federal blueprints in distinctively regional ways. What’s more, historians of the NPS have given this coastal initiative short-shrift in histories of the agency. I believed that this story illustrated a shift in how the NPS entered communities and created parks, and that these coastal parks therefore merited further study. LLO: In your dissertation you write that, often times, establishing a park was the easy part – actually buying land and/or figuring out how best to cooperatively manage a complex landscape over time proved more difficult. Can you give some examples of the challenges faced by park supporters, including the NPS? Gonzales: Most of the major challenges had to do with land uses and private land ownership. At Point Reyes, provisions were included to allow some dairy ranching to continue in order to get the local community on board, but the NPS did not know how to manage a landscape with intensive agricultural operations within its boundaries. There, the NPS has stumbled time and time again (and still are today) with how to cooperative with the dairy ranchers on that peninsula (Laura Watt tackles these challenges in depth in her recent book, The Paradox of Preservation: Wilderness and Working Landscapes at Point Reyes National Seashore). 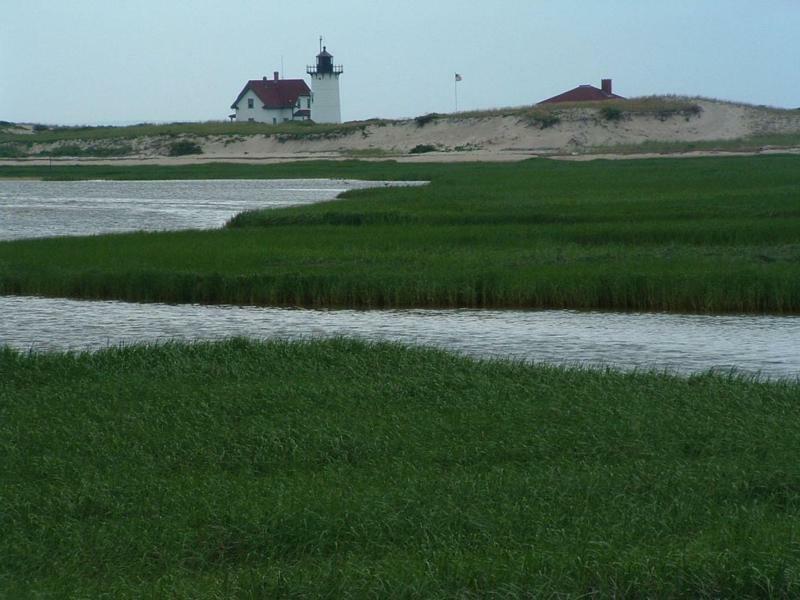 At Cape Cod, some of the well-intentioned legislative compromises to buy back certain homes and return that area to open space fell through when the park lacked funds to follow through on the purchases. At parks like Cape Cod or Fire Island that are dotted with privately owned homes within the park’s outer boundaries (called “inholdings” by the NPS), the NPS relies on zoning laws to manage land. The NPS has learned the hard way that zoning laws only work if the towns are willing to enforce them and update them over time. LLO: What are some of the success stories you came across in your research and what mistakes or missteps did the NPS and/or others make in the development of coastal parks? Gonzales: The “Cape Cod Formula,” in which the National Park Service allowed citizens to remain in their homes in order to achieve conservation of surrounding lands, was fairly successful at Cape Cod, Indiana Dunes, Fire Island, and others in preventing future development of areas along certain coasts. However, that model also had drawbacks that the NPS has had to deal with over the last several decades. At Fire Island, for example, inholdings within the park are so extensive and have so much autonomy that land uses within those pockets can sometimes weaken park-wide conservation goals. A major misstep that came to a head in the 1960s was the NPS effort to take lands from the U.S. Forest Service along the Oregon coast. NPS takeover of Forest Service lands had been common practice in the early 20th century, but the NPS underestimated the level of loyalty of Oregonians to the Forest Service amid a thriving logging industry. That area remains under Forest Service control. LLO: In your view, how did the boom in coastal parks change conservation in the United States? Gonzales: Coastal park establishment changed how the NPS made new units, and in so doing, altered the definition of national parks. Because citizens of coasts had the wealth and political clout to shape founding legislation for these parks, the NPS listened to and actually incorporated citizens’ wants and needs into founding legislation for these parks. The parks that came out of this coastal conservation push were piecemeal, segmented, and some even had formal mechanisms like Advisory Councils for communities to have a say in how the federal government managed land in their neighborhoods. This was a major shift towards cooperative management of federal conservation and recreation lands, which accelerated in the 1970s and 1980s as land purchases became increasingly cost-prohibitive. In addition, cooperative models for coastal parks empowered fledgling grassroots environmental organizations which then went on to push for additional conservation measures in following decades.